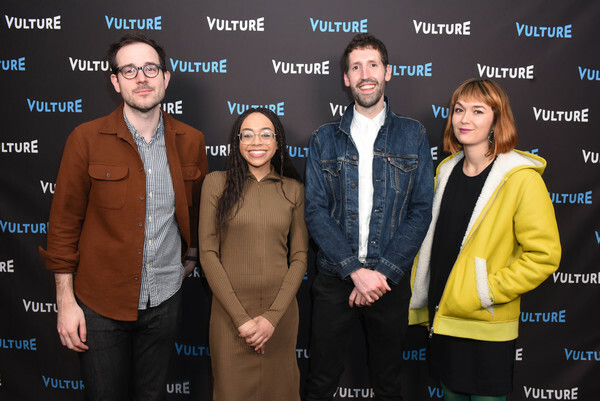 Jesse David Fox, Hunter Harris, Nate Jones and Emily Yoshida attend Vulture x NeueHouse Present Comedians vs. Critics Awards Debate Live! at NeueHouse Los Angeles on February 21, 2019 in Hollywood, California.